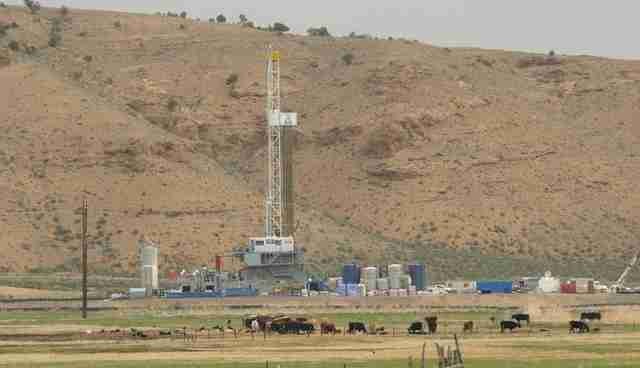 The business of hydraulic fracturing, or fracking, is booming. Between 2005 and 2013, some 82,000 fracking wells bored into the shale deposits beneath 17 states, according to the environmental advocacy group Environmental America. Fracking, its proponents are swift to point out, supports more than a million jobs (although the exact numbers are debatable) and has slashed the cost of natural gas. But the explosion of fracking wells across the U.S. has had serious environmental fallout. The Environmental Protection Agency, in a 2012 report, suggested that fracking has contaminated groundwater in Wyoming; the EPA plans to release a full study of fracking's impact on drinking water later in 2014. Conservation groups like the Natural Resources Defense Council and the Wilderness Society argue that fracking is not only dangerous to humans, but also poses a threat to wildlife and the environment. Just how hard fracking hits ecosystems, however, is murky. "We know very little about how shale gas production is affecting plants and wildlife," says Sara Souther, a conservation biologist at the University of Wisconsin-Madison, in a statement. Souther and her colleagues discovered critical gaps in the current body of knowledge surrounding shale production, which they reported in the journal of Frontiers in Ecology and the Environment. "There is a lack of accessible and reliable information on spills, wastewater disposal and the chemistry of fracturing fluids," Souther says. "Of the 24 U.S. states with active shale gas reservoirs, only five maintain public records of spills and accidents." Typically fracking chemicals are injected 3,000 to 9,200 feet (900 to 2,800 meters) underground, where it has been generally thought that they couldn't make it to the surface or mix with reservoirs of drinking water. But that isn't true, as scientists have found geological connections between these deep injection sites and surface drinking water, at least in the Appalachian Basin. Of the roughly 190 different compounds used at various fracking wells, about one-third lack sufficient toxicity information, according to a study presented at the American Chemical Society on Wednesday. Of the known chemicals, most are rendered harmless with appropriate treatment. Most - but not all. "There are a number of chemicals, like corrosion inhibitors and biocides in particular, that are being used in reasonably high concentrations that potentially could have adverse effects," says William Stringfellow, an environmental engineer at the University of the Pacific, in a press release. There's no question that the fluids used in the fracking process have been responsible for ecological damage. When an oil and gas company illegally discharged an acidic mixture near a Kentucky stream in 2009, the fluids "killed virtually all aquatic wildlife in a significant portion of the fork," reports the Fish and Wildlife Service. Similarly, seventeen cows died within an hour of a worker accidentally leaking fracking chemicals into a farm pasture. Again, ambiguity compounds this problem - it's not clear which wells have used which chemicals. "Some of the wells in the chemical disclosure registry were fractured with fluid containing 20 or more undisclosed chemicals," states Kimberly Terrell, a Smithsonian Conservation Biology Institute researcher and one of Souther's co-authors. "This is an arbitrary and inconsistent standard of chemical disclosure." Neither Souther nor her colleagues are "anti-shale development," she tells InsideClimateNews. "We're anti-lack of knowledge." Fracking wells aren't likely to disappear soon. 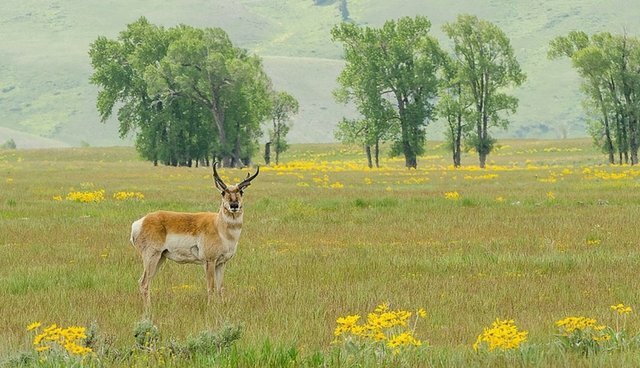 But there's too much at stake - particularly for sensitive species like pronghorn antelope and hellbender salamanders, Souther points out - to allow fracking's environmental impacts to stay in the dark.